"Thanks mom, gotta go, bye!!" These are individually packed! I like this feature because it preserves freshness and maintains the quality of the treats. Not to mention lessons the potential to pick up germs along the way or in the store. You'll also notice right on their label, these treats are both made & locally sourced in the USA by a family owned company. 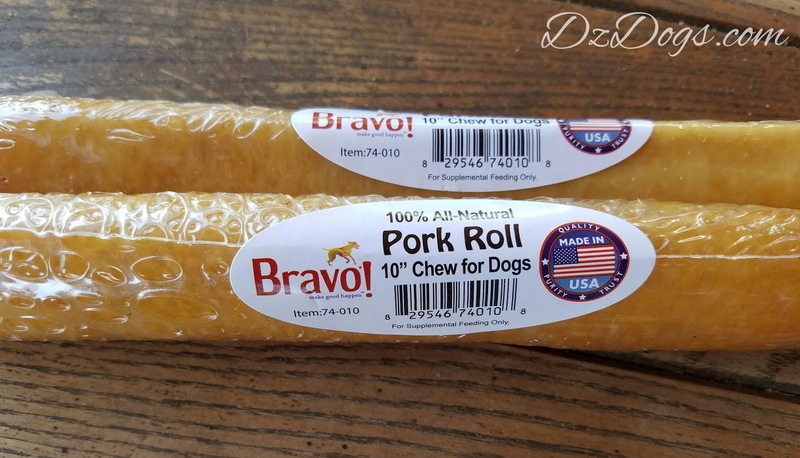 Unlike rawhide which has no nutritional value...these pork rolls are high in protein and made with NO artificial preservatives/flavors or color added. 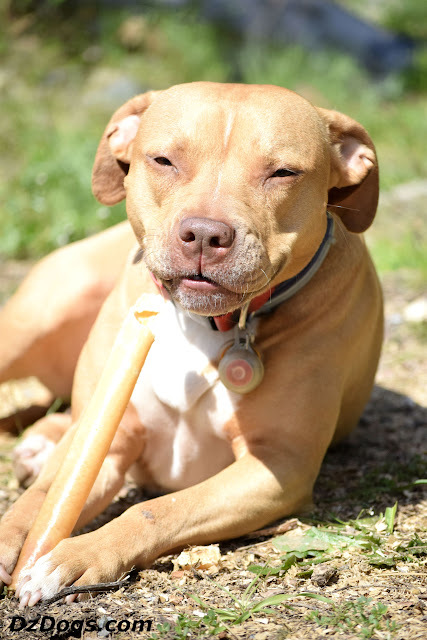 And unlike bully sticks, I noticed as soon as I opened them that they had no distinguishable odor! As we're getting our house project going, and hooray it's finally starting! 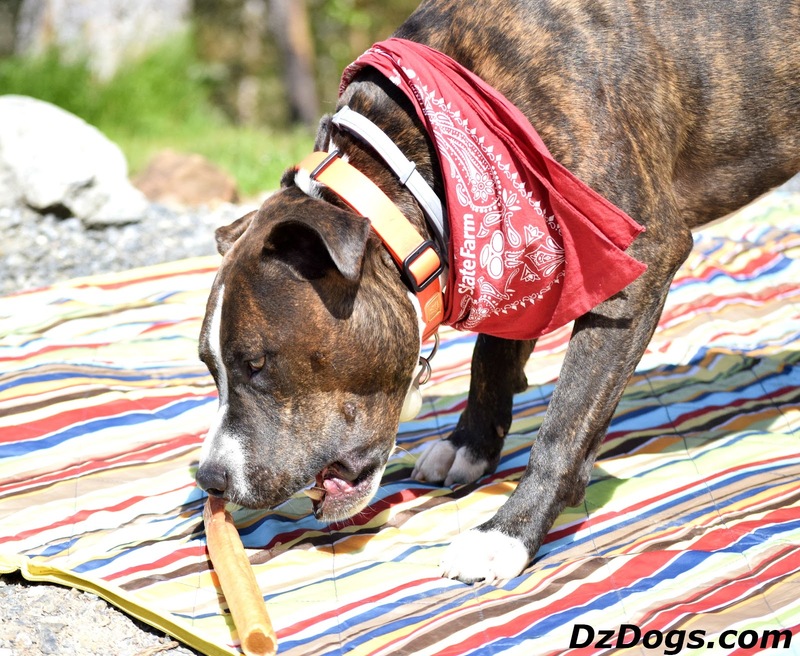 I love treats that will occupy the dogs while Dz Dad and I work outside. You can check out this adventure HERE. These pork skin rolls did a pretty good job! They didn't last as long as I would have hoped - but only because Dante and Ziva are VERY DETERMINED chewers... however they did last about fifteen minutes which is longer than most treats for us. And the dogs loved them!! According to Bravo! these pork skin rolls also help to clean teeth and thus help to freshen breath. I believe this claim because they broke up nicely into crunchy pieces while the dogs were working on them - which is also nice if you have a dog like Ziva that tends to swallow things WHOLE. 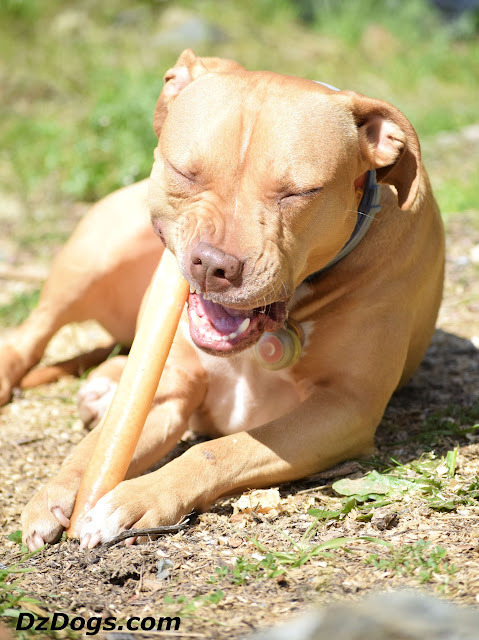 Unlike rawhide which is not only indigestible, but also tends to be a choking hazard due to holding it's glue induced shape. These pork skin rolls since they broke up into small pieces didn't pose a choking risk for Ziva, she seemed to enjoy crunching and munching the roasted rolls into tiny pieces and then picking up the pieces as she went, chewing them some more. All in all, we're big fans and really enjoyed these pork rolls. You can find your own at your local natural pet food store, if you need help locating a store in your area you can check their website for retailers near you HERE! We bet that is delish! Tractors on site is a good sign too!